Since the local brews of Lucette and Lazy Monk debuted in the past year, local drinkers have responded and the production has gone like gangbusters. 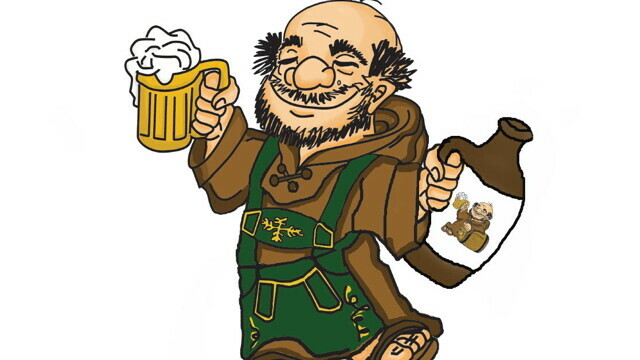 Well now we can rejoice in yet another brew, as Lazy Monk unveils its Oktoberfest. On Sept. 22, downtown Eau Claire’s Just Local Food is having a fall harvest parking lot party (from 3-7pm) that will feature the debut of the brew, plus a Klezmer band, beer-can chicken, grilled brats, apples, sauerkraut making, and more. Lazy Monk’s beer is a lager with Munich and Pilsner malts, Nobel German hops, and a smooth rich flavor with deep malts. But that’s according to them; you should really try it yourself to make sure. Check area grocers and taverns for it.